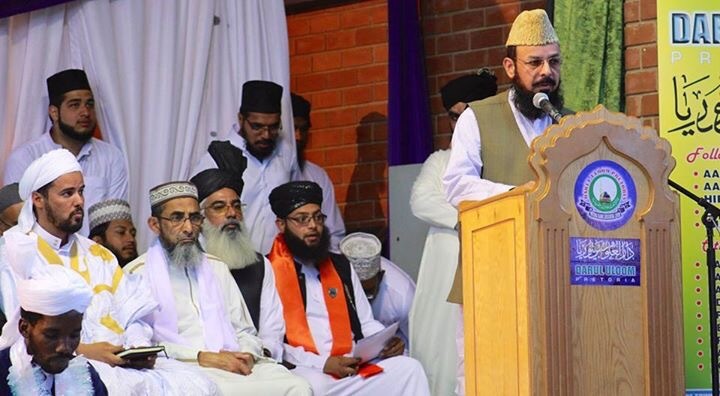 The Pretoria Islamic Educational Centre, Darul Uloom Pretoria hosted its Annual Graduation Ceremony of Ulama and Huffaz on the 22nd November 2015 at the Laudium Community Centre. A large number of the local community joined many of the institutes former graduates, students, educators and a host of local and international scholars and dignitaries at the event. A capacity crowd attended this annual event. A large number of local and international scholars were present. The programme began with renditions of Hamd of Allah and praises of His beloved Prophet SallAllahu Alaihi Wasallam by young students of the part-time Madressa. Moulana Sarfaraz Rahmatullah then conducted an Islamic quiz that tested the general Islamic knowledge of the young students. 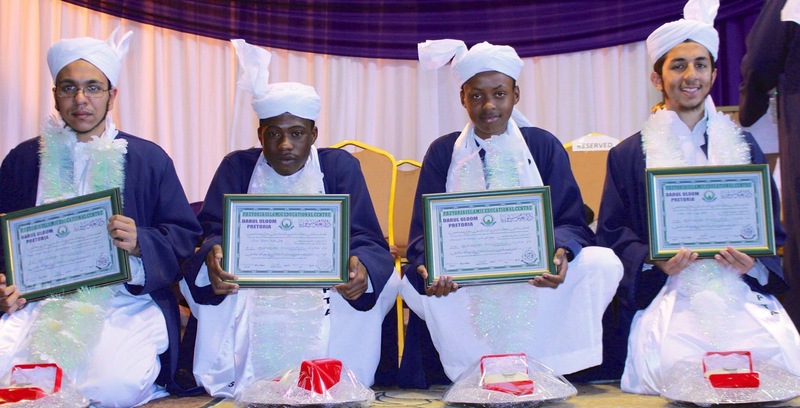 Certificates were then presented to those students who had successfully completed their Al Azhar exams that were written through the Al Azhar University of Egypt. These were presented to the students by the lecturers at Darul Uloom Pretoria that have been assigned by the university. Hereafter, the audience were addressed by Hazrat Allama Peer Sayed Muzamil Hussain Shah Saheb, a guest from the United Kingdom. His eminence spoke about the historical importance of knowledge. The hard working educators of the institute were presented to the audience ahead of the graduation ceremony. The large crowd rose in respect and acknowledgement of the extraordinary work done by the dedicated teachers of Darul Uloom Pretoria. The dedicated educators of the insitute that make everything possible. After the graduation ceremony, Dr Professor Moulana Noor Ahmed Shahtaz from the university of Karachi, Pakistan, then addressed the capacity crowd. ‎In his discourse, he described the perfect financial and judicial model Islam provides. He emphasised the need for Islamic scholars and congratulated the Darul Uloom on its tremendous achievments. ‎After listening to recorded messages of support from Hazrat Allama Dr Kaukab Noorani Okarvi and his eminence, Hazrat Allama Peer Sayed Haseenudin Shah Saheb, the principal of Darul Uloom Pretoria, Muft Mohammamad AKbar Hazarvi, then thanked every attendee for their support following which the Salaami was read by former students of the institute. The final Dua was then made by the guest of honour, Allama Peer Sayed Muzamil Hussain Shah.